Where seen? 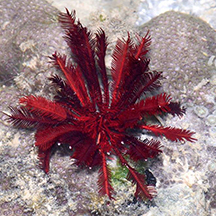 This bright red feather star is sometimes seen near living reefs on our Southern shores. 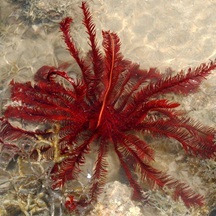 Sometimes many small ones are seen on one visit, and then not seen again for some time. 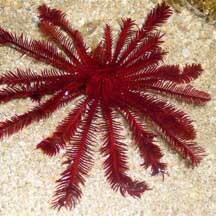 At other times, a single large one may be seen. 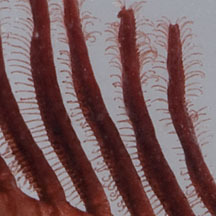 Features: 6-12cm in diameter. 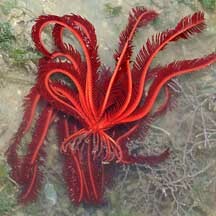 With more than 30 arms. 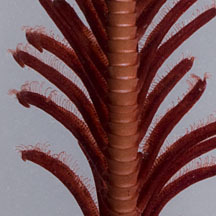 The cirri on the underside is banded. 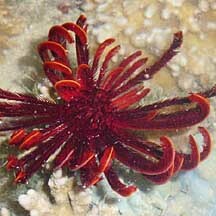 The entire animal usually uniformly red, sometimes bright red, sometimes very dark red. 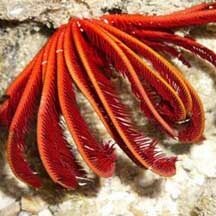 Or mostly red with some yellowish body parts. 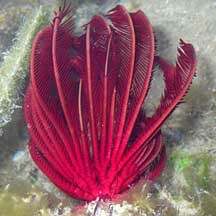 Feather friend: Sometimes, a tiny Crinoid shrimp is seen living in this feather star. 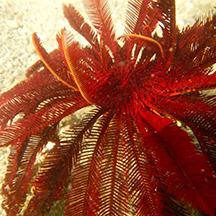 It closely resembles the feather star in colour and pattern. 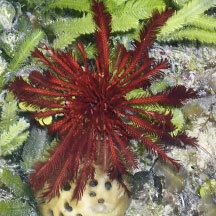 *Species are difficult to positively identify without close examination. 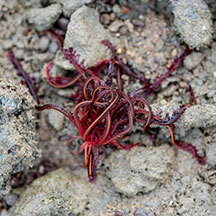 Photos shared by Loh Kok Sheng on his blog. Photo shared by Loh Kok Sheng on facebook. Photo shared by Juria Toramae on facebook. 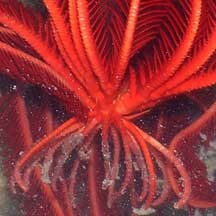 red featherstar @ labrador from SgBeachBum on Vimeo. 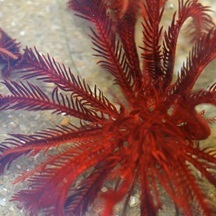 red crinoid from SgBeachBum on Vimeo. 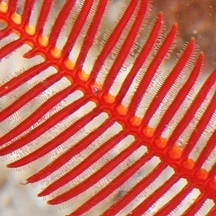 Himerometra robustipinna on SeaLife Base: Technical fact sheet.